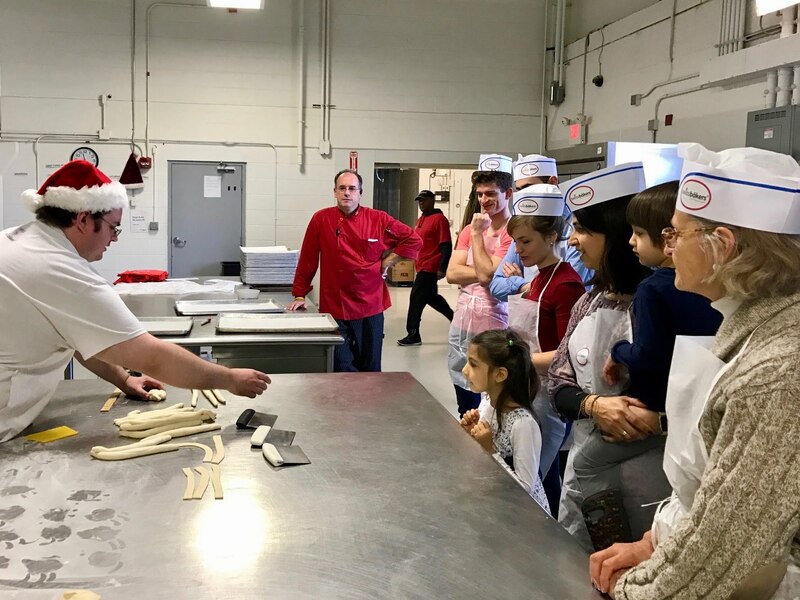 The New England Chapter of ETH Alumni celebrated Advent time with a visit to swissbäkers in Boston. What was planned to be a hands-on baking event also turned out into an inspiring Sunday noon with Thomas Stohr. Almost 20 years ago, Thomas and his wife Helene started baking Swiss croissants and rolls for their kids, who stopped eating American bread. Today, Thomas showed us his modern bakery that supplies several of his branches and explained baking processes as well as business considerations. Thereafter, we got the chance to taste some of swissbäkers’ sandwiches on the famous pretzel baguette whilst our self-made Grittibänze were baking in the oven. We left swissbäkers impressed by the Stohrs’ success story and eager to find out about the taste of our baked goods. The Grittibänze were delicious!